Are you equipped to reach perfection? God has called his people to a powerful way of living. We are meant to be fully alive in the authority God has ordained. Perfection is a clarion call to God-empowered righteousness, to remember who we are in Christ Jesus, and to evaluate God's expectations for those who claim to be born again in Him. The church can no longer afford to ignore the gospel that empowers it to be both relevant and powerful. It must purvey unsullied the gifts and fruits of the Holy Spirit and become the solution to the world's ills that God intended and predestined it to be. Pastor Richard Kuehn clearly outlines the problem of man's sinful nature, the carnal state of rebellion against God, and indifference to the well-being of others, which continue to be the source of all interpersonal and international maliciousness. Although man has tried many philosophies, psychologies, governments, religions, laws, and organizations, none has provided a lasting peace or a framework for harmonious multi-cultural living. Perfection provides a framework for fulfilling God's righteousness in us and walking as Jesus walked. Discover God's full plan for man's reformation, conformation, and transformation and comprehend the depths and the beauty of His plan to bring His kingdom to pass on earth as it is in heaven. 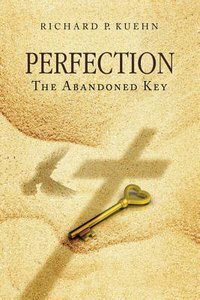 About "Perfection: The Abandoned Key"